This post is selected and republished with permission from The Parent-Child Bible Challenge. – Ed. 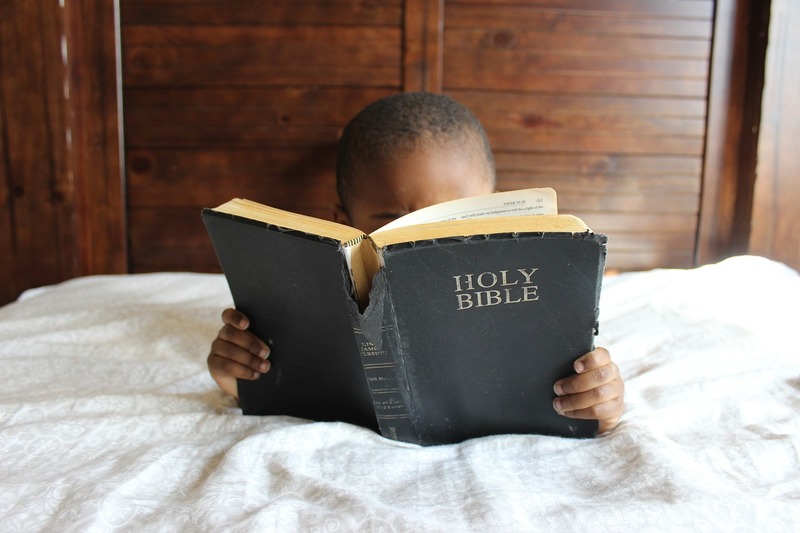 “I want my children to know the Bible,” is the emphatic statement clergy and Christian educators hear often from households. We want to know scripture, and we want our children to know scripture. 1. Get excited about reading the Bible. Children draft off the emotions of their parents. When we are excited, they share our excitement. Reading the Bible is a spiritual practice that allows us to enrich our lives with our children. We have an incredible once in a lifetime opportunity to help them know of God’s inspired Word and life saving story. Get started with the story of creation in the Book of Genesis. The Old Testament has some of the best stories in the entire Bible. Read stories of struggle and joy and journeys of wonder and delight. Be amazed by the crossing of the Red Sea, Ruth’s faithfulness, David standing up to Goliath and Esther’s courage. Let Jesus change our lives with his miracles and compassion. 2. Take turns reading on a regular basis. Challenge one another to retell the story that you have just read. Start to learn the names of the various books of the Bible as well as names of various parables and stories. 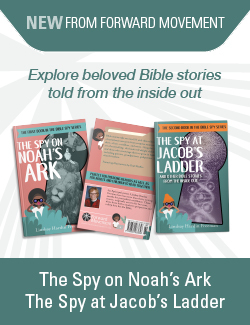 Get to know individual books of the Bible and strive to see the big picture and how these books and stories fit together. 3. Show them how the Bible is like real life. Jesus tells us in Luke 6 about ways to live and love, how forgive and how to care for others. In Matthew’s Gospel, Jesus tells us step by step how to forgive one another. The Bible gives us real life stories and real life solutions so that we can build God’s kingdom here and now. The apostles’ letters tell us how to care for one another and follow Jesus’ way. Join your children at bedtime and read a story each night. Talk about how the story is or is not like real life. Ask how the Bible’s teaching helps us to build a better world and become better people. These are God’s stories given to us to show us how God brings hope, healing and love. Sad stories end with joy. Joyful stories are complete with responsibility. We are God’s people, loved and cherished by God. Sometimes, the stories don’t tell us what we want to hear. If so, then what is God teaching us? If you don’t know something, say, “I don’t know why this happens in the story.” Then ask, “What do you think?” Your children will teach you, and you will grow together in faith. Pick a favorite Bible story or verse and read the verses before the verse and then the verses following. Ask some questions: What does the writer want us to know? Where are you and I in the story? What is God asking us to do in this story? How would you feel if you were in this scene? What do you smell, touch, see and feel? If you could change how the story ends, what would you change? How would you tell this story in your own words? At the conclusion of each reading, ask your child: 1) What do today’s readings tell us about God? 2) What did we learn about how to treat other people? and 3) What did learn about our family and how we should live? 5. Pick a designated time and place and get started. Read in the same place at the same time each day. Bedtime is a great time to read, but do what works best for your family and you. You may try reading an entire gospel together such as the Gospel of Luke to learn more about Jesus’ life. Then try reading the Book of Acts to learn about how the Church began. Offer up prayers of thanksgiving for a life renewed and anchored in God’s Holy Word. 6. Keep a gratitude journal. Each time you finish your Bible reading, write in your gratitude journal about three things that you are thankful for. Count your blessings and give thanks. 7. Give space to talk. What steps help you read the Bible with kids and teens?